Using your own bodyweight is a good start if you want to improve your strength and build muscle but for the best results you’ll want to move on from pure bodyweight exercises to adding weight as soon as possible. Once you add weight to your exercises you’ll find your body starts to adapt and change much more quickly. 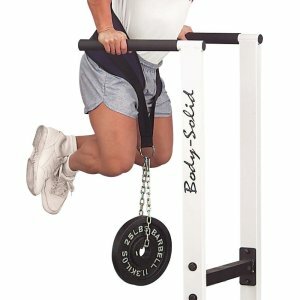 Adding weights to exercises such as dips or pull-ups is easy with the Body Solid NB56 Dipping Belt. 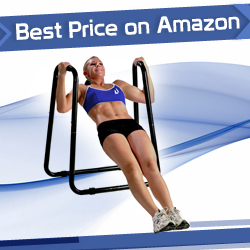 As the name suggests, this belt is perfect for exercises such as chest dips, lunges and chin-ups. This belt makes it easy to add weight plates which will increase your resistance for each exercise and build muscle mass much quicker.